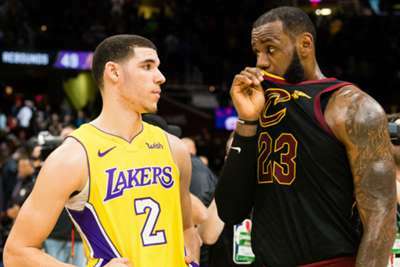 The Los Angeles Lakers have made some major changes to their roster this offseason, but according to general manager Rob Pelinka, only LeBron James' starting position is safe. During a news conference on Wednesday, Pelinka addressed the roster overhaul and said the four starting spots around James will be decided through competition, which means Rajon Rondo and Lonzo Ball will be fighting for the starting point guard position. "Obviously LeBron James is going to be a starter but the other four spots is going to be an open training camp decision ... we are going to play fast ... you can imagine lineups on the court where everyone is 6-7, 6-8 or above. Brandon Ingram, LeBron is a position-less player. ... It is really exciting to think about the length and speed and the way we can play." Pelinka added the franchise is excited about their youth and that was part of what drew James to the Lakers. "Youth succeeded. We saw it in Utah. We saw it in Boston," Pelinka said. "LeBron made it clear to Earvin [Lakers president of basketball operations Magic Johnson] and to me that that was one of the things he was excited about." Even with the addition of new key players, Pelinka made it clear they still have one thing in mind – and that is winning a championship.